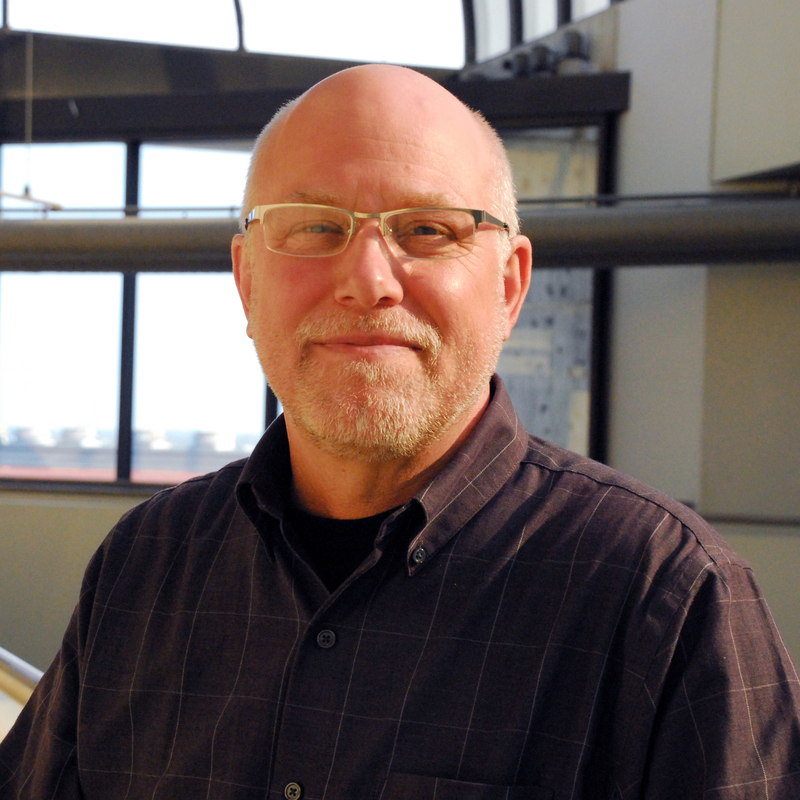 AMES, Iowa — Kevin Kane, associate dean for research and outreach in the Iowa State University College of Design, is the recipient of the 2017 P&S Woodin CYtation Award from the university’s Professional and Scientific Council. Named in honor and memory of Dan Woodin — a 36-year ISU P&S employee and four-term P&S Council president who died in September 2013 after a year-long battle with cancer — the award recognizes a P&S employee who demonstrates exemplary service to the P&S Council or other P&S employees; demonstrates willingness to go above and beyond; displays a great attitude and a true compassion for others and treats everyone with respect; and demonstrates leadership, innovation and initiative. Kane will be honored at the P&S Council CYtation Awards Ceremony at 8 a.m. Thursday, March 23, in the ISU Alumni Center’s Reiman Ballroom. Kane — who also serves as the director of the ISU Geographic Information Systems Support and Research Facility and the Institute for Design Research and Outreach — is known as an effective leader, resource and mentor for faculty, staff and students. He has conducted extensive research into the role of non-faculty academic professional staff in higher education; his work has helped influence Iowa State administration regarding appointments and compensation for P&S staff whose role is similar to faculty in research and/or teaching. Kane served on the P&S Council for nine years, including as vice president (2002-2003) and president (2003-2004 and 2004-2005), when he also served as a member of the ISU President’s Advisory Committee on Budget and Planning, Strategic Planning Committee and Strategic Planning Facilitation Group. He has been a member of numerous university-wide search committees and a key contributor to university policy development committees, including the Performance Management Policy and Academic Misconduct Policy. He chaired the Iowa Geographic Information Council in 1998-1999 and 2002-2003. Also an ISU adjunct faculty member in landscape architecture, Kane has mentored independent-study students in the GIS graduate certificate program and participated in final reviews for courses in architecture, landscape architecture and community and regional planning. He received a Bachelor of Science in landscape architecture and a Bachelor of Arts in physical education and leisure studies in 1982, a Master of Landscape Architecture with an emphasis in geographic information systems in 1986 and a PhD in educational leadership and policy studies in 2007, all from Iowa State.